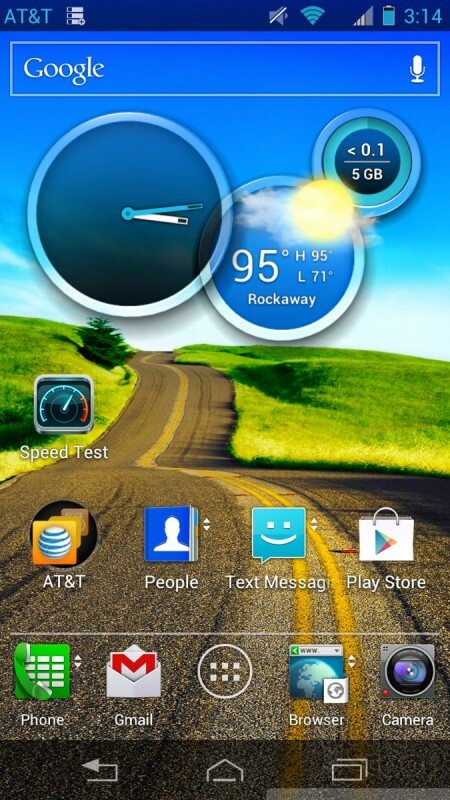 The Atrix runs Android 4.0 Ice Cream Sandwich, which has been lightly skinned by Motorola. 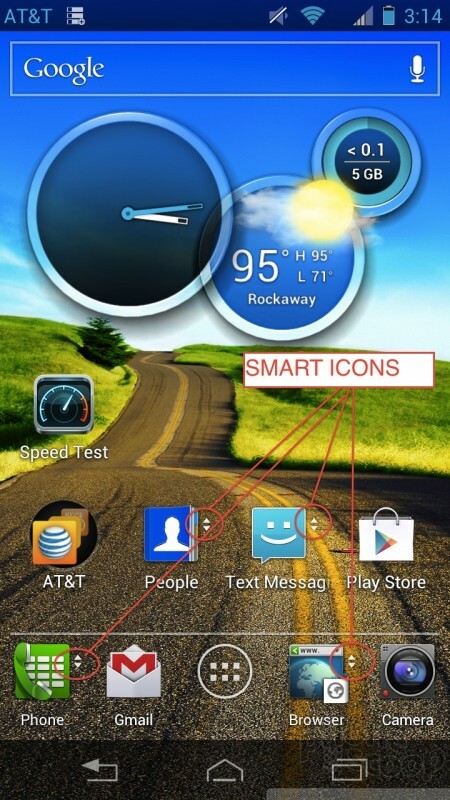 The most noticeable changes made by Motorola all appear on the home screen, as much of the deeper portions of the operating system are very close to stock Android 4.0. 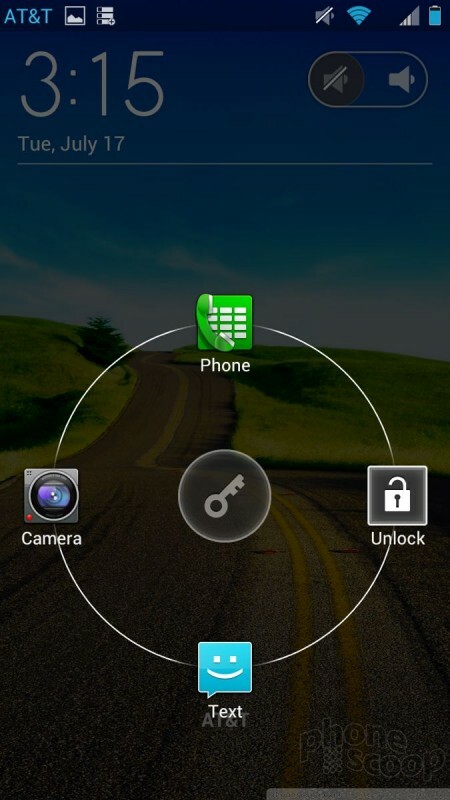 Starting with the lockscreen, the Atrix include some shortcuts that can take users directly to the camera, phone, or messaging apps in addition to silencing the ringer/rejecting calls and unlocking the device. These shortcuts aren't customizable, but they are a welcome sight. When first booted, the Atrix has only a single home screen panel. You have to add more yourself, and Motorola offers a selection of home screen panel templates (which are pre-populated with apps/widgets) as well as blank screens. No matter how many home screen panels you choose to add, the left-most panel is the home screen panel. 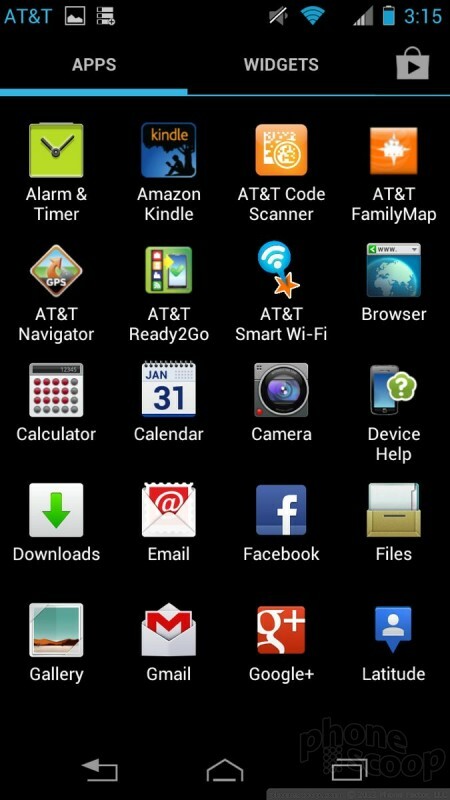 This takes a bit of getting used to, as most Android phones use the central panel as the home screen. Motorola has done a few other interesting things with the home screens. For example, key communications shortcuts - such as those for the phone, email, contacts, messaging, and browser - are interactive. Swiping up on one of these select app icons opens a little window that reveals the most recent list of missed calls, emails, messages, browser bookmarks, and so on. 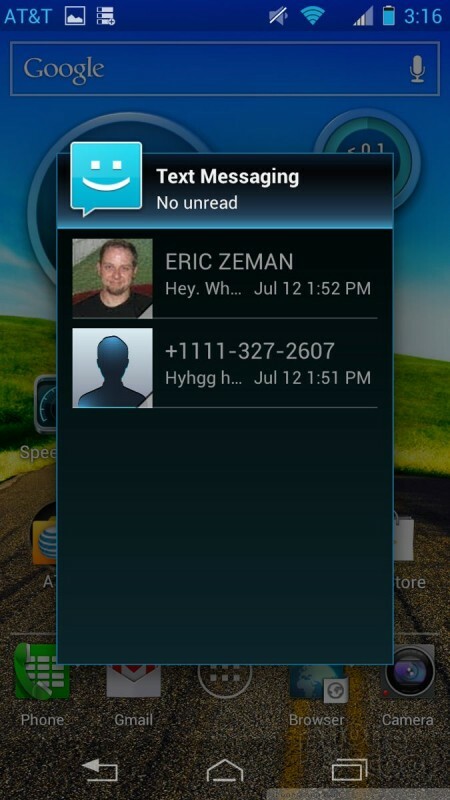 What's cool is that it lets you see each respective inbox without gobbling up screen real estate with a larger widget. It would be easy to miss this feature completely, however. The only reason I noticed it at all is because there are tiny (and I mean TINY) little arrows next to the app icons on the home screen. I discovered the swipe-up-to-open action quite by accident. Bottom line: it's a neat feature once you get used to it, but not intuitive. 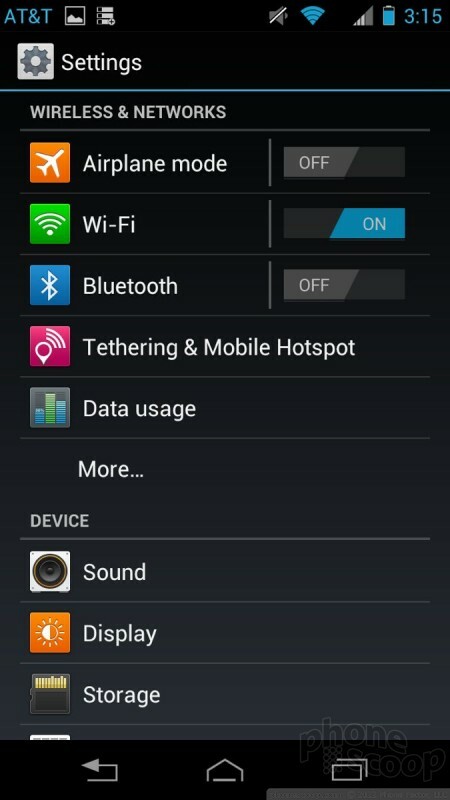 Beyond these customizations, the Atrix runs a fairly clean version of Android 4.0 Ice Cream Sandwich. 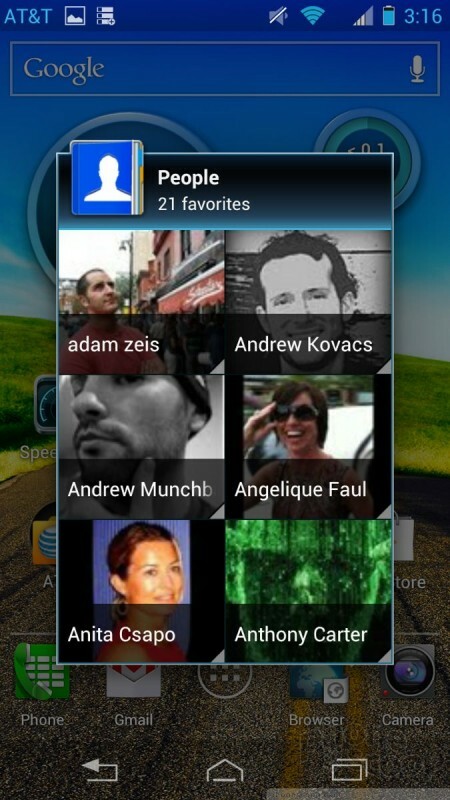 The drop-down notification shade, main app menu, and settings tools are all unadulterated Android. In terms of performance, it was slightly mixed. Most often the Atrix was very fast, but every so often it got bogged down when transitioning between screens or opening apps. Not in a terrible way by any stretch, but it was noticeable.